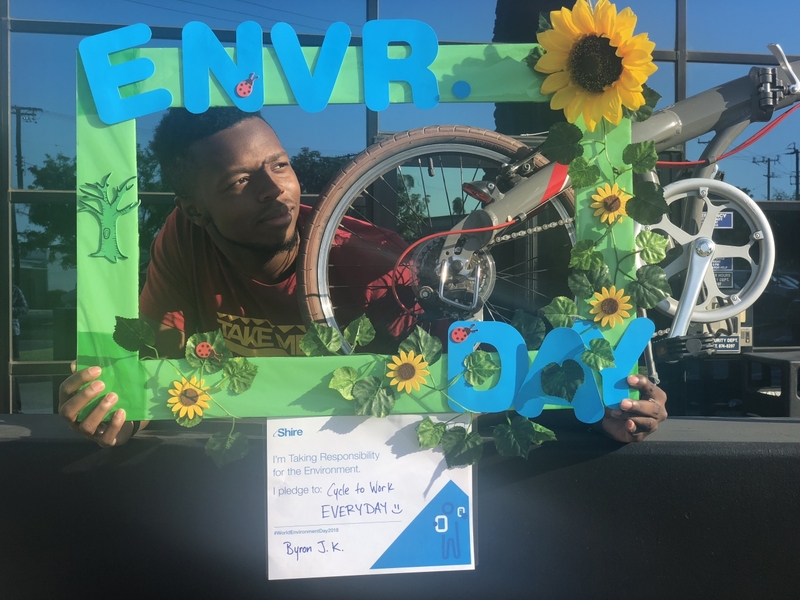 Shire employees around the world held events during the first week of June to bring awareness and action for the environment in honor of World Environment Day on June 5. 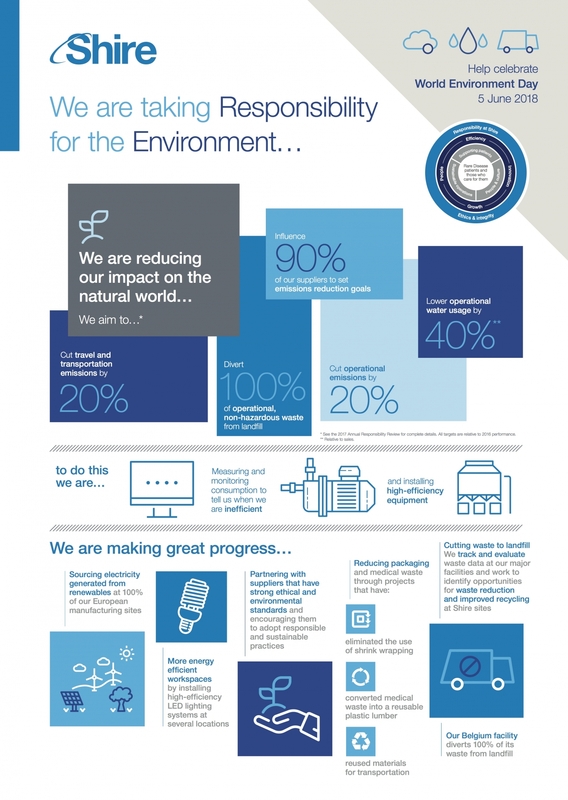 The theme of Shire's World Environment Day event was Taking Responsibility for the Environment: Energy & Climate, Water and Waste, in support of the company’s Responsibility goals (see the infographic focused on Shire’s natural resource goals). Los Angeles, California: Hosted an environmental fair showcasing local products and services to encourage composting, public transportation and energy conservation. The fair also included an interactive waste sorting exercise, LED bulb exchange and a sustainability lunch and learn. Covington, Georgia: Volunteered with the Charlie Elliot Wildlife Center and cleaned-up several local ponds to help maintain these natural resources for the local community. 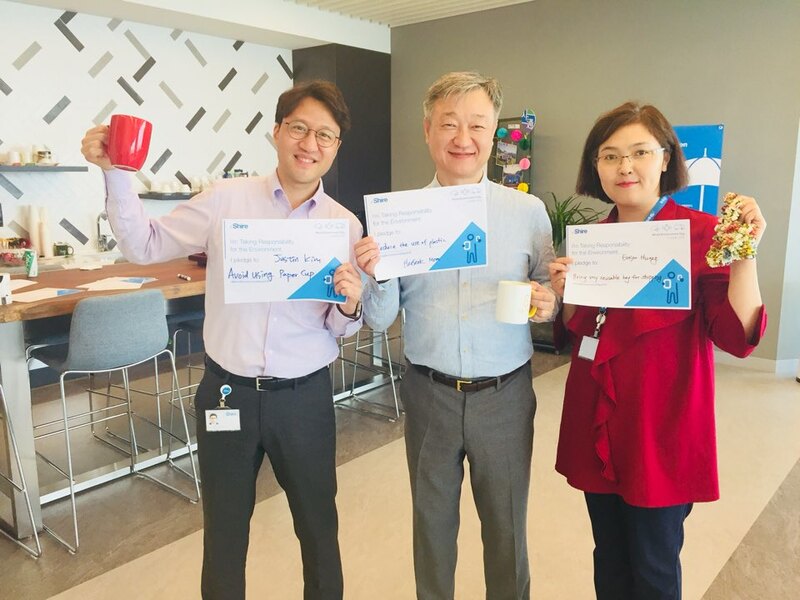 Exton, Pennsylvania: Planted an honorary Korean Dogwood tree, hosted a month long paper reduction challenge, as well as a sustainability and recycling trivia challenge. 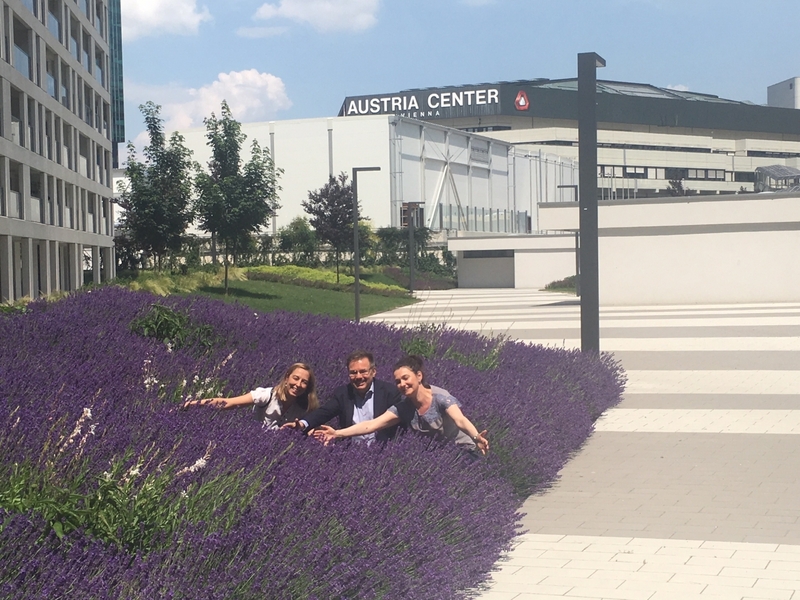 Vienna, Austria: Launched a campus bike sharing program for employees to move from building to building in a healthier, more sustainable way than driving. Dublin & Dunboyne, Ireland: Provided each employee with a reusable mug to reduce office paper waste and launched a second hand book exchange. Rieti and Pisa, Italy: Distributed seed packets to employees and created an educational sustainability corner. To learn more about Shire’s Responsibility commitments and goals, please visit Shire’s Annual Responsibility Review at www.shire.com/who-we-are/responsibility or view our latest video on Responsibility. For more information, please visit www.shire.com. Follow Shire on Social Media: Twitter, LinkedIn, and YouTube.